The Kerala education department has completed all the process regarding the official announced of SSLC results 2014. As the tabulation and final work ended in record time, it is the official announcement which stands remaining. The results will be announced the Education Minister Shri P K Abdu Rabb during an official press conference on 16th April at 3 pm. 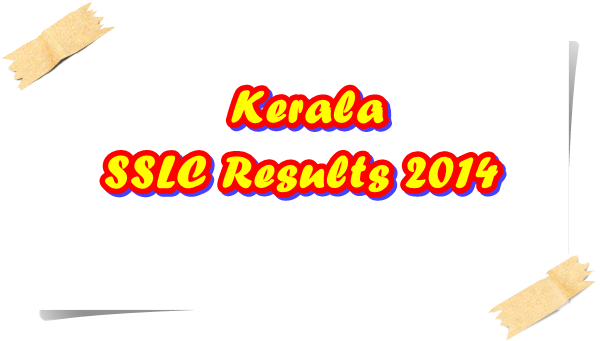 As soon as the results get declared, it would be published at the official website of the SSLC examination government of Kerala. Students who had appeared for the SSLC exam in 2014 can check their results at the official website specially designed to publish the SSLC examination. The valuation was completed in record speed which enables the education department to declare the results. Comparing with the previous years, took only 15 days for the final draft. The exams which were concluded on 20th March went into a process of evaluation which was started on 29th March. 54 valuation camps were set up for this process with nearly 13,000 teachers deployed to evaluate the answer sheets. As a result of the parliamentary pools, more teachers were prearranged to complete the work. The valuation got over on 12th April leaving one more day for the final tabulation and other online activities. As like previous years, in 2014 too the valuation was done without giving moderation. The result percentage will be more than 90 giving more students to apply for higher education. As soon as it get announced by the education minister, the results will be published in the official website along with other web portals specially designed to make the results available online. The Content Delivery Network (CDN) system which is capable of delivering the results much faster will enable the students to check the results on time without any interference. The Secondary School Leaving Certificate also referred to as SSLC is a certification attained by a student after the successful completion of an examination at the end of his/ her study at the secondary schooling level which will enable him/ her pursue his education further.